The heavy duty Clansman Ground Mounted Monopole is a wide band vertical polarised Omni-directional antenna designed to be free standing. It does not require a antenna tuners or other adjustments for frequency and is suitable for use with ClansmanVRC-353,PRC-351,PRC-352 or any other VHF radio set with a 50 Ohm Co-axial outlet. The antenna is low profile antenna and can easily be concealed when mounted on the ground. Inconspicuous and easily camouflaged. 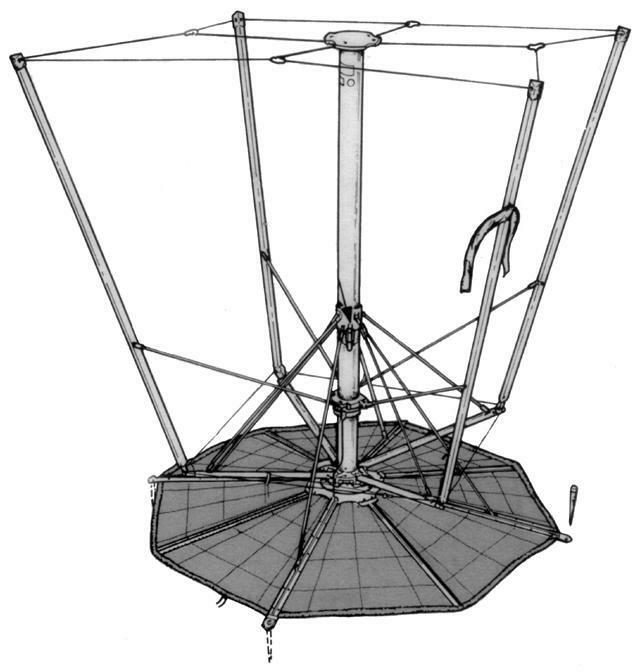 It was used in forward areas, where for tactical reasons a an elevated antenna is unsuitable. It can quickly be erected in any terrain. It is self standing, requiring no stays or pickets driven into the ground. 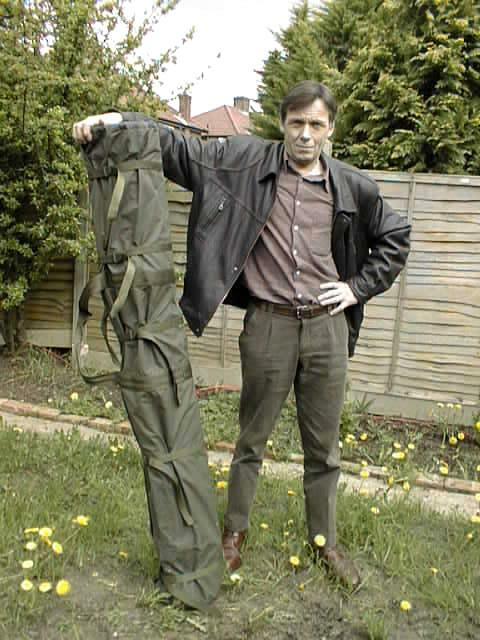 It folds into a small bulk for transport. The Antenna is in the form of a skeleton inverted pyramid with the total height of about 1.2 M mounted on an optimum-size ground plane. The elements forming the side of the pyramid are made of drawn triangular cross section aluminium. Hinges enable the structure to be folded. The tops of the elements and the centre post are joined together with insulated copper / terylene braid. The ground plane is constructed of covered stainless steel mesh and is joined to the base of the pyramid by a moulded insulator. 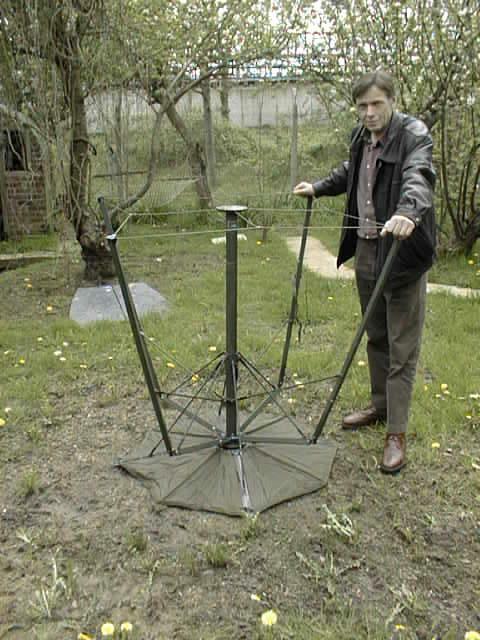 Earthing spikes are provided, which can be driven into the ground to prevent the antenna from moving in high winds. The Antenna is supplied in good condition, complete with accessories and canvas carry bag.